For the office's 2014 Margaritaville party this year, we decided to go back to the Jimmy Buffet surfer theme. 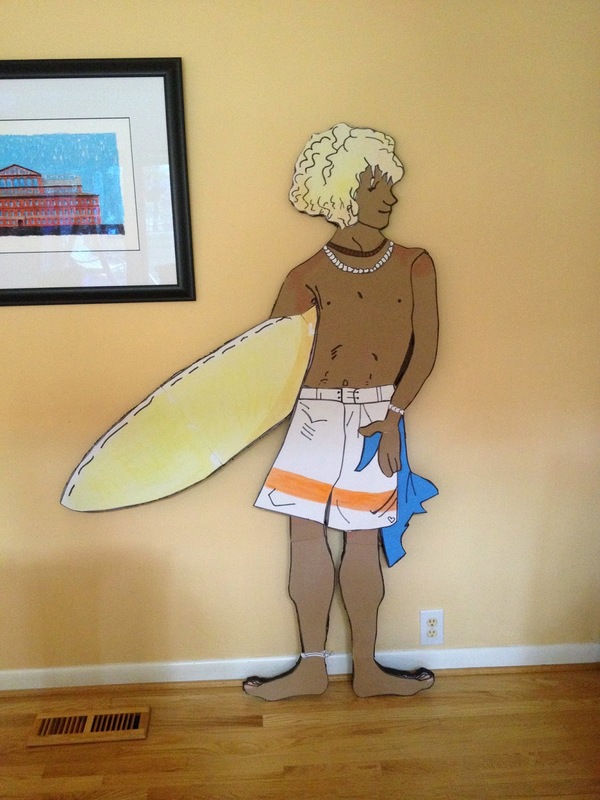 I found this clipart and decided to make it in fun foam mounted on wall insulation. It is over 4 feet long and over 3 feet tall. Notice the company's name on the license plate. 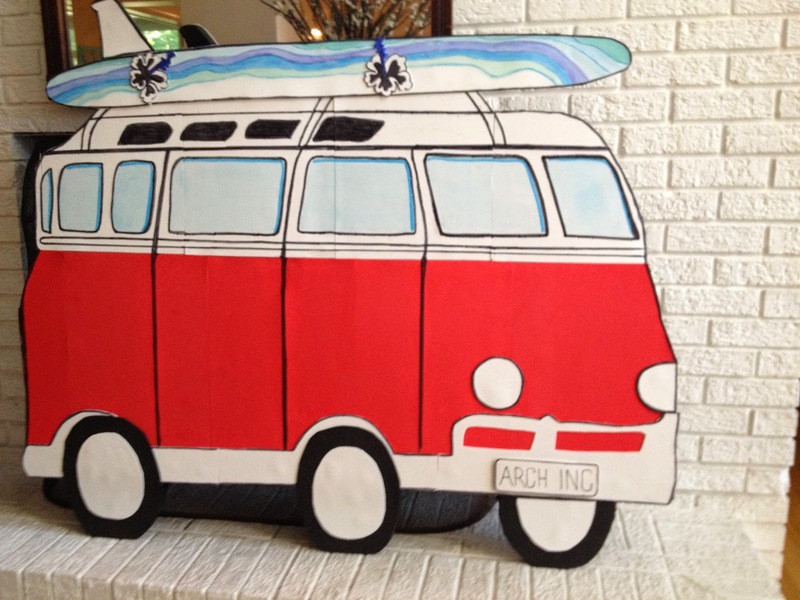 I used my water-color markers (which I love) for the windows and the waves on the surf board. I had to cut the 8' x 2' wall insulation in half and duck tape them together to get the height. Because all of the pieces I've made before only use permanent sharpie pens, using the watercolors mean that this can not be an outside prop like the other pieces. It will be placed on the dessert bar. I found crab and starfish cookie cutters. I am going to make a crushed vanilla cookie sand beach for them. 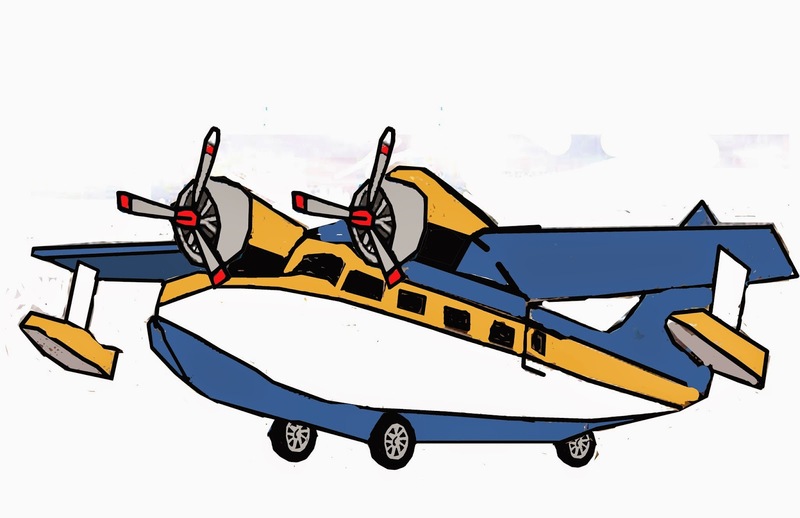 There was no Grumman Goose plane clipart on the internet. 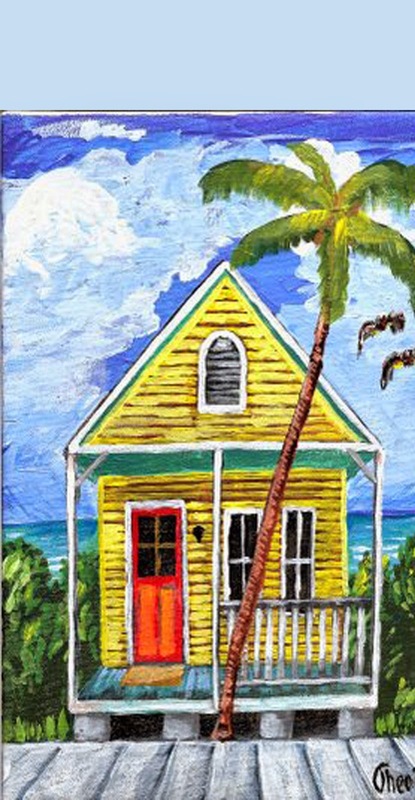 So I downloaded three photos and 1 painting. I combined different elements to make this piece. I will make it like the bus above in fun foam and insulation. I will include a photo once this prop is made. 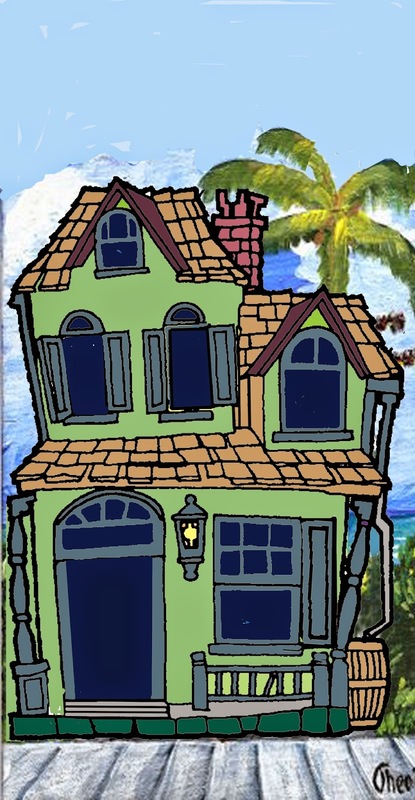 I thought you'd like to see my Key West boardwalk houses. We'll print them up to fit the glass on the kitchen doors in the office. Once the props are all in place, I'll take photos before the party starts. What am I doing for centerpieces? I have six stuffed parrots I am placing on my mercury candlestick holders (they are square and chunky). I'll add some grape vine around the bases with small fresh flowers tucked into them. 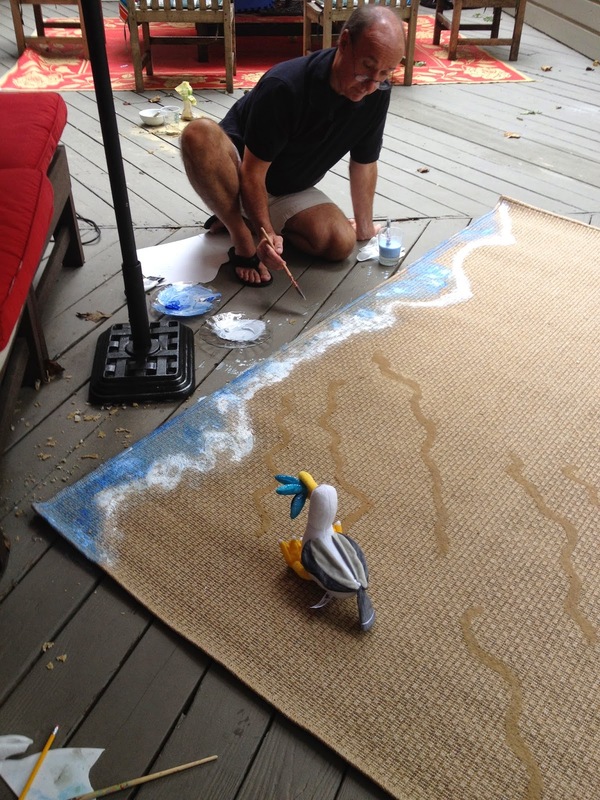 Here is my hubby painting the water on my beach rug. I glued dark sand I got from Michael's onto the back (less patterning of rug) to make ripples. I have fun foam flip flops, shells, crabs, and turtles to make it more beachy. 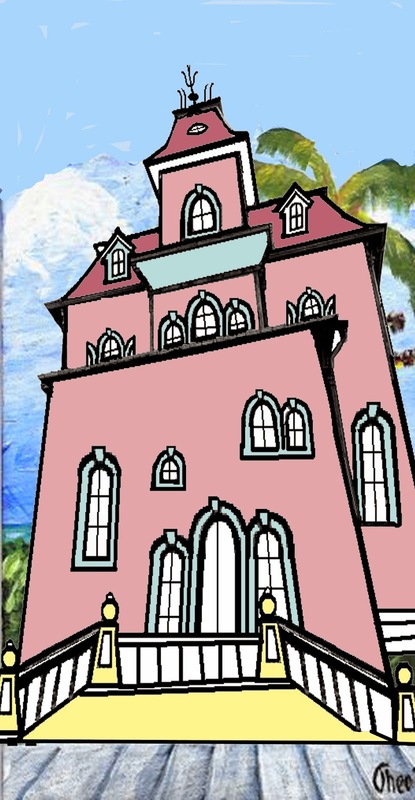 I bought the sea gull on Amazon.com to add the third dimension. 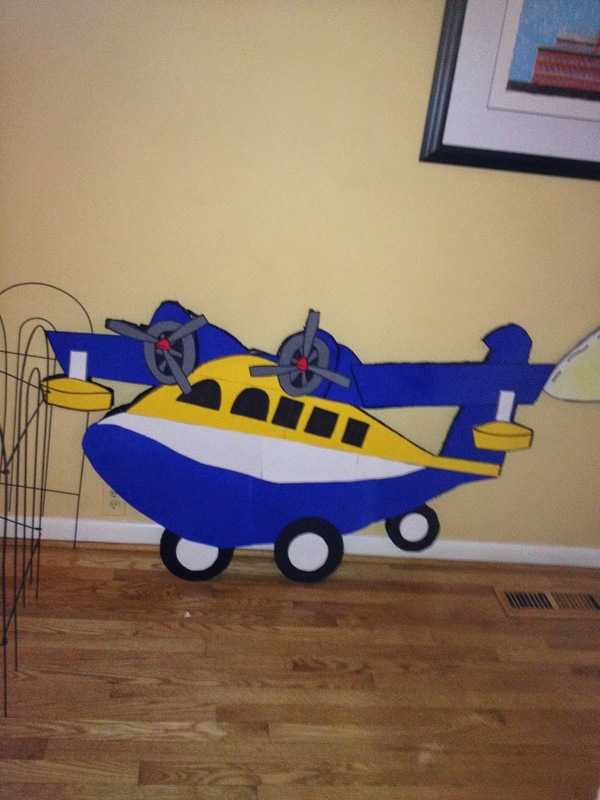 After the party I will post pictures of all the props in place.